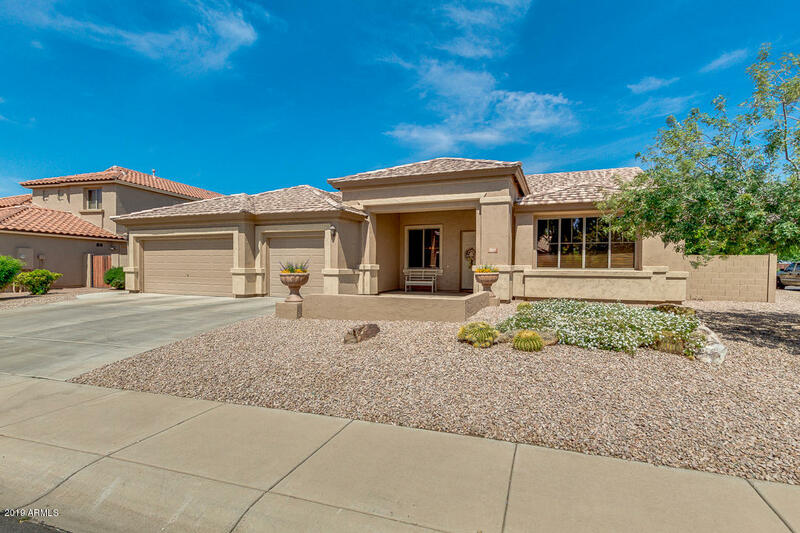 All RANCHO CORONA homes currently listed for sale in Gilbert as of 04/22/2019 are shown below. You can change the search criteria at any time by pressing the 'Change Search' button below. "Remodeled Beauty on a quarter acre lot! New quartz marble counters with maple cabs t/o, new porcelain wood plank tile in the main walkways kitchen, FR and Baths, and new carpet t/o. SS drop-down commercial barn style sink with high-arc faucet, new SS LG appliances w/ high-end flattop GE Profile double oven w/ swipe touch controls, wifi remote control and notifications, custom island and back-splash in the kitchen. Vessel sinks w/ tasteful contemporary designs in the remodeled 2.5 baths include n"
"Meticulously maintained single level split floor plan has neutral tile and carpet and immaculate! 2 new HVAC's and water heater reduce energy bills ! 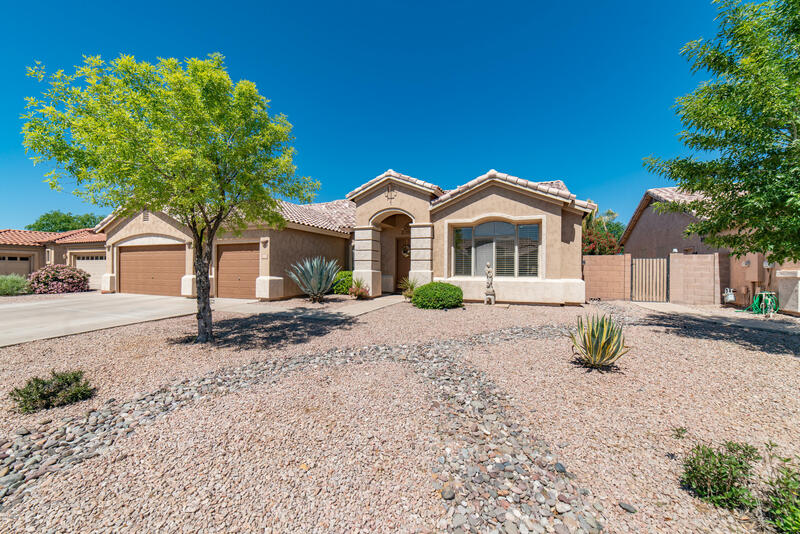 4 bedrooms and 2.5 baths with a formal living and dining room. Living room could be converted to a den/office; open kitchen overlooks family room and patio to backyard. Loads of closets for this single level home. Master suite has dual closets with separate tub & shower/ double sinks. 3 car garage with high ceilings with lots of storage. Gra"